Today, we will be looking at SDAH 590- Trust and Obey for our Sabbath hymn selection.. It was written by John H. Sammis. John H. Sammis (1846-1919), gave up his life as a businessman and part-time YMCA worker to study for the ministry. He was ordained a Presbyterian minister in 1880 and then served at several pastorates. In his later years, Sammis taught at the Bible Institute of Los Angeles. 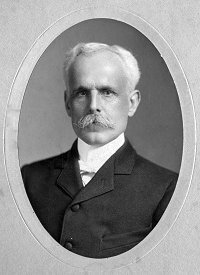 Daniel B. Towner (1850-1919) was music director for several well-known churches and schools, including the Moody Bible Institute. He published several music books and wrote the music for many well-loved hymns, including At Calvary and Only A Sinner Saved By Grace. Daniel Towner was so struck by the power of those simple words that he quickly jotted them down, then delivered them to John Sammis, who developed the lyrics to Trust and Obey. Towner composed the music and the song quickly became a favorite. It remains popular with hymn singers today. Tagged Christianity, Inspiration, Life, Music, Music 2, Sermon, Truth.